Wood floors are simply stunning, but they do require extra care. Bona Hardwood Floor Cleaner is safe for all types of wood floors, including those with a polyurethane or factory pre-finish. The cleaner removes dirt, grime and stains while restoring your floors back to a shiny and new condition. Best of all, Bona Hardwood Floor Cleaner is waterborne, non-toxic and pH neutral and won’t leave a sticky residue behind. There are many different hardwood floor cleaners on the market and when comparing prices, Bona is certainly the most expensive of the bunch. All products, including Method, Hoover and Bruce, all claim to have environmentally friendly products. In addition, all are safe for hardwood floors, making it harder to choose just one. However, the Bona cleaner is definitely a top seller and reviewers say that the mixture won’t leave behind streaks or a filmy residue. In fact, many of the online reviews report that they were recommended Bona by wood floor installers, as this is the only product that truly cleans floors and keeps them in great condition, prolonging the need to reseal. Reviewers also reported that the cleaner worked effortlessly without needing elbow grease, plus lacked any strong smells that oil cleaners often carry. That said, there were several reviews that weren’t impressed with the hardwood floor cleaner, saying that any old wood cleaner would produce the same results. Formulated to clean all types of wood floors coated with polyurethane finish. Removes soils, stains, dirt and grime for wood floors. Will not dull your floor finish or leave a sticky residue. Bona floor cleaner is waterborne, non-toxic and pH neutral. Cleaner is fantastic for spot cleaning and for regular upkeep. Some felt it left their floor dull and with streaks. 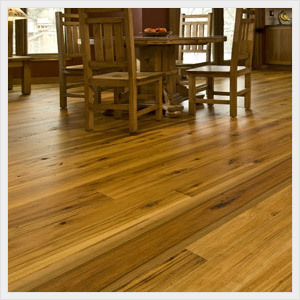 A few users would definitely not recommend it for bamboo wood flooring. When used on a regular basis however, it seems that most owners agree that Bona floor cleaner really takes care of wood floors, minimizing scratches and rejuvenating the wood surface. Please share with us any of your questions or comments concerning this Bona Hardwood Floor Cleaner review! For those interested, here’s the manufacturer link for the Bona Kemi Hardwood Floor Cleaner.